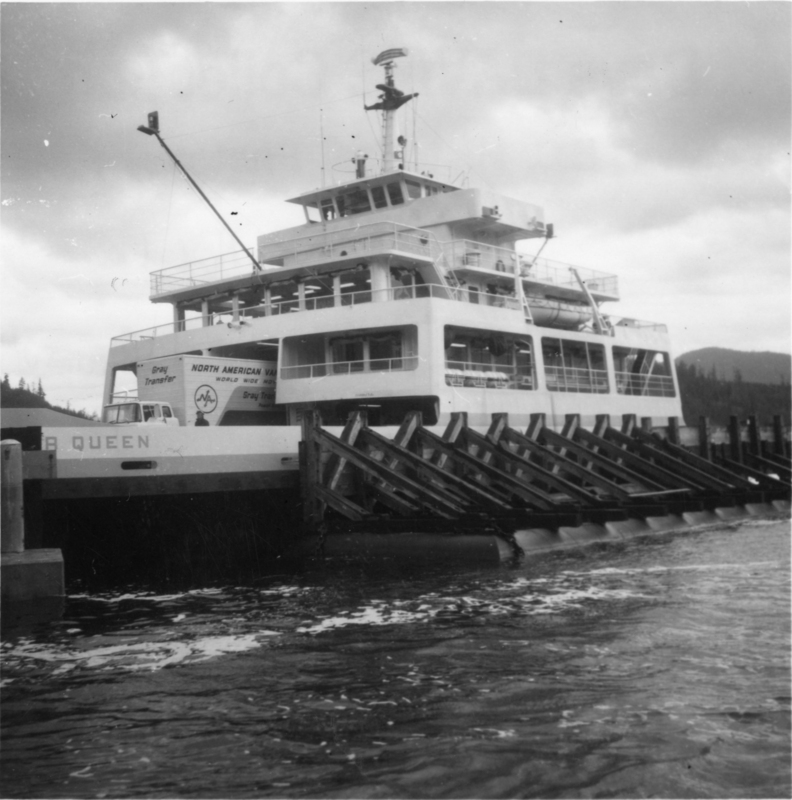 Photograph depicts the "Powell River Queen" of the B.C. Ferries. It was just arriving at the slip in Earl's Cove after it had just made an 8 mile trip from Saltery Bay. It had been built in Victoria in 1965. Capacity held 50 cars and 250 passengers.